Shred Direct has moved into a new office within Novus Business Centre in Peterlee. The office gives owner Graeme Carter and his new apprentice Callum Summerill a base from which to grow. 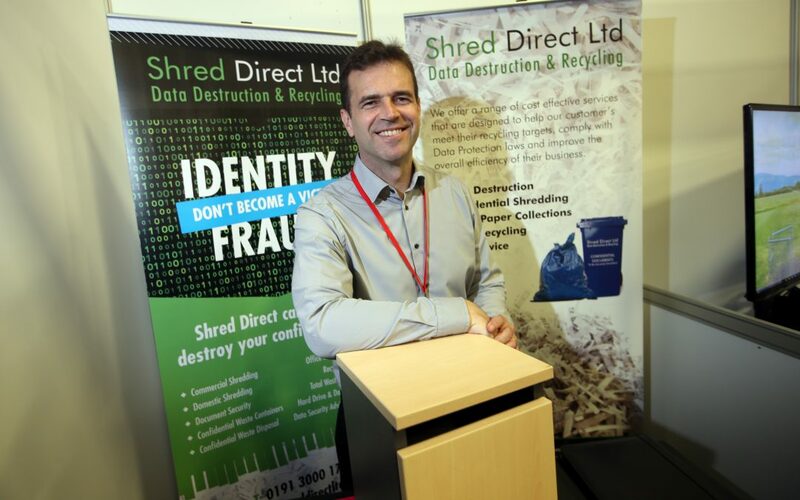 The move comes after Shred Direct underwent major growth and Graeme felt the time was right to move into professional offices. He chose his office within Novus, on the North West Industrial Estate, after spending time there for client and supplier meetings, and also receiving support from the East Durham Business Service team, which manages Novus, when he set the business up. Graeme said: “As the business has grown I felt I needed somewhere I could work out of, a professional base for me to focus on business development. “The office is the perfect environment for us and is ideally located for me to still spend time on the roads. Denise Fielding from East Durham Business Service said: “We’re delighted to welcome Graeme and the Shred Direct team as our newest client.